Spring is traditionally seen as the ideal time to put a house up for sale. 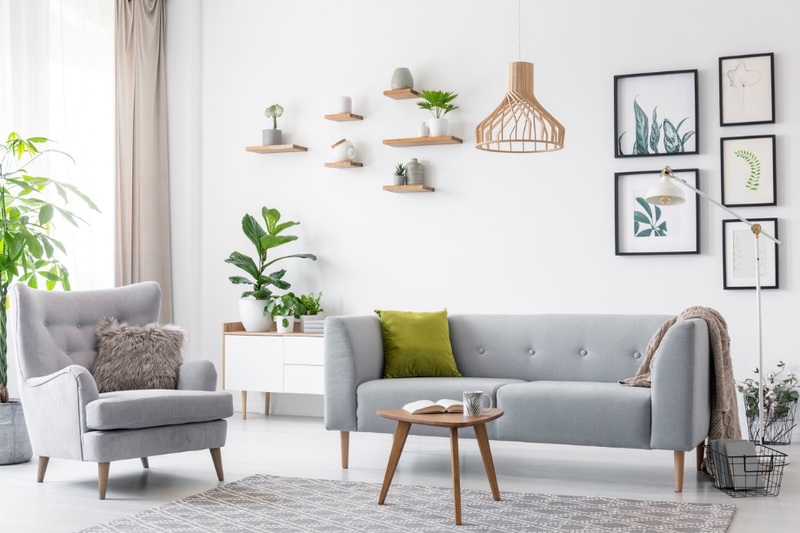 It’s true that there are many benefits to marketing a house in April or May – the days are longer and sunnier, gardens look green and enticing, and there’s a sense of possibility in the air. However, as with any received wisdom, dig a little deeper and the truth isn’t quite so simple. Figures from property portals such as Rightmove and Zoopla reveal that sites are flooded with searches from prospective buyers in the earlier part of the year, with January and February being particularly active times. If your house isn’t appearing in those searches, you may have missed an opportunity for a quick sale. ‘But what about Brexit?’ you may ask. We’re encouraging our clients not to sit on the fence waiting for the outcome of a process that may yet be delayed for months or even years. Buyers and sellers are telling us they’re fed up with Brexit uncertainty, and just want to get on with life. By adopting a proactive approach, these homeowners may well find themselves in a stronger position once negotiations with the EU are finally settled. So the message is clear: now is a great time to act if you’re considering moving this year. But what should you be doing to get your house ready for viewing this month? Follow our six tips and you’ll have a good chance of sales success before the first tulips have even begun to bloom! 1. Clean windows inside and out. Windows can take a battering from rain, wind, frost and snow during the winter months. Smeary, dull windows are an instant turn-off – give them a thorough clean and you’ll be amazed how much brighter and spacious each room looks. 2. De-clutter every room. It may seem like a daunting task, especially if you’ve lived in your home for many years. So take it one room at a time, doing your best to clear surfaces and floor space and being as ruthless as you can. Items that you don’t want to throw away or recycle can be packed into boxes and stored in a garage or shed. Think of this process as a head start on the packing ready for when you actually move. 3. Refresh your carpets and upholstery. Whether you hire a professional cleaning company or book a carpet cleaning machine for DIY use, pristine carpets and sofas will help to give your property a show home feel for a relatively modest cost. 4. Guarantee a warm welcome. It’s likely to be cold outside when prospective buyers view your house at this time of year. Naturally you want them to feel comfortable the minute they step through your front door, so wherever possible turn on the heating and keep it cosy (but not too warm) as they tour each room. If you have an open fire or wood-burning stove, get the chimney swept and ensure the fire draws well. Log fires can offer an instant welcome, and are increasingly popular in today’s market. 5. Invest in botanical styling. A house plant or two on your newly-decluttered surfaces will add texture and breathe life into a room. Unlike fresh flowers, which you’ll have to replace after a few days, house plants can last indefinitely (depending on your horticultural skill!). Indoor plants are massively on trend too, and will look great in the photos we’ll take for our brochure and online marketing portals. If space is at a premium, don’t forget you can also hang plants from the ceiling. And if you’re really not the green-fingered type, faux plants are a great alternative, with a huge range now available. 6. Check essential paperwork. It’s not unusual for our clients to receive offers within days of their house going on the market. When a transaction starts to move quickly, you need to be ready to answer the detailed questions that are sure to arise. For example, when was your boiler last serviced? Do you have building regulations sign-off for any extensions or improvements? Do you have FENSA guarantees for windows or doors? If you have a mortgage, can it be ‘ported’ to a new property or will you need to arrange a fresh deal? The more organised you can be at the start of the process, the less chance of hold-ups further down the line. Looking for an expert estate agent in Cranleigh and the surrounding villages? Here at Roger Coupe, we’ve been providing an unrivalled local service to customers throughout Surrey and West Sussex since 1991. Our friendly staff have an intimate knowledge of the current market, and are always happy to offer a free market valuation of your property. Please don’t hesitate to get in touch or pop into our Cranleigh High Street office for a chat.